Sometimes patients who visit a pharmacy will be told that a particular medication takes longer to prepare and is not yet available, or that additional time is needed for compounding. Medications can expire, too, if the patient waited too long to pick it up. Less common -- so far -- is that a prescription is not available because the computer system is down, and not just down at one retail outlet, but across the entire retailer's network. That was the case in August 2014 as reported by the Chicago Tribune. Walgreens experienced a system-wide outage, affecting more than 8,000 of its pharmacies for several hours throughout most of the morning of the outage. 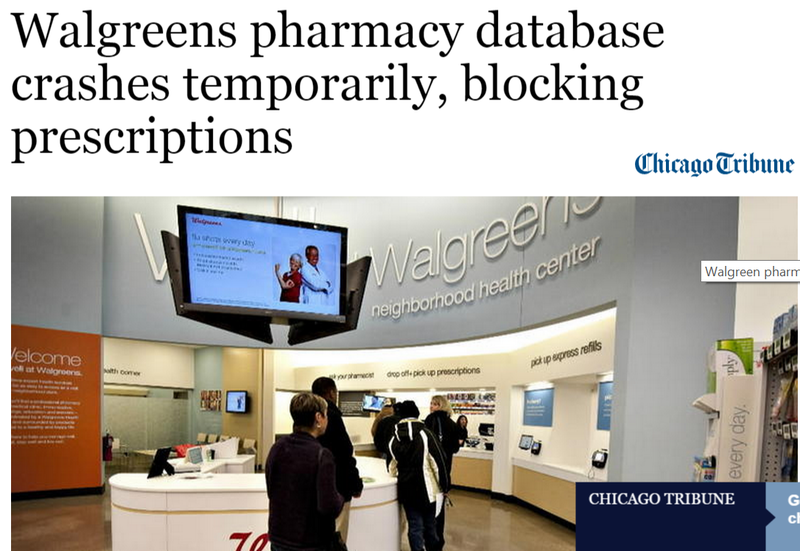 The Tribune said that the problem occurred during a "routine database update."